Stitch a durable tote for the market or beach! 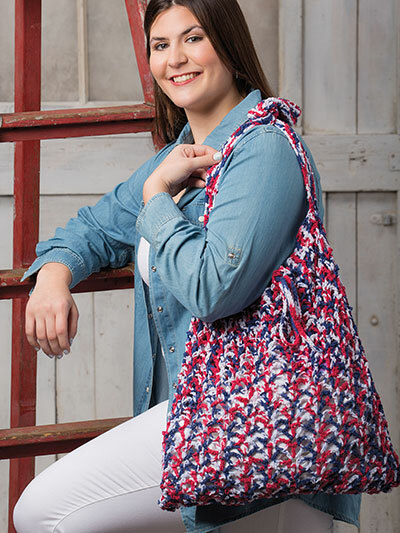 This versatile tote is made using 5 balls of #04 America, Premier Yarns Premier Home Cotton #4 worsted-weight yarn and a size G/6/4mm crochet hook. Size: 20"W x 20"L, excluding strap.